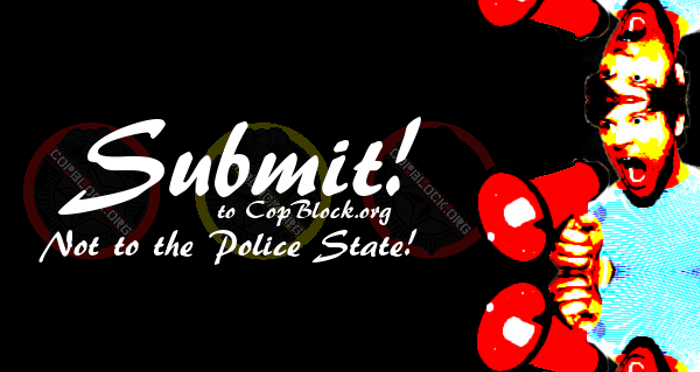 Here are some basic guidelines to follow to increase the chance of getting your submission published on the pages CopBlock.org and promoted our social media resources. The following represents my own personal opinions and ideas, as well as my experiences in getting submissions published. This is not an end-all-be-all set of rules, but these are the things I look for when making a decision whether or not to take on a submission. We get a lot of really great submissions from readers, as well as some really awful ones. We appreciate and are often sympathetic to the tales shared with us, but for many reasons we cannot publish them all. Here are things you can do to make it more likely that your submission will be published. The first thing to remember is that when a Cop Block contributor decides to take a submission, there is a lot of work to be done. On top of editing the text, formatting the page and editing images, there are a whole lot of others things that must be done to get it ready to publish. On top of this, there is little to no compensation for what we do, so it is done mostly as a labor of love. The easier and quicker it is to edit your submission into a blog post, the more likely and sooner someone will decide to edit your submission and that it will make it onto the site. With that in mind, your submission should be in pretty good working order before we even receive it, so as to make it less daunting to do so. Here are some tips for what a good submission looks like. 250-1,000 words…more or less is insufficient or nearly unmanageable. Linear narrative broken into simple paragraphs of 1-5 sentences. A paragraph should indicate a section of your larger narrative, such as the response of an agency, or period of time around a highlight of events. Decent writing skills. You do not have to be a great writer to get your submission published, but if it is hard to understand your narrative, it will be nearly impossible to get it together. Do not be afraid to ask someone close to you to assist. Grammar…you do not have to be an expert and we will certainly be glad to work out the kinks, but if the grammar is too rambling it will be difficult to understand what the submission is about. In some cases we will publish a readers testimony, based on the strength of the submission, but in most cases we need to have some kind of verification that the events occurred. This is not necessarily because we disbelieve you, but many of our readers will not if there is no evidence. You should try to incorporate as many of the following as possible into your submission. Links – You can put these in relevant sections of your narrative, or at the bottom of the page with a note as to what the link is for. Photographs – Large high quality photos that evidence your claims. Audio – Recordings of interactions. Of course if you are sending us original content, that is, your own thoughts, opinions or ideas – then evidence is not necessary, but links to support claims made in your piece would be very useful. If you send a video that is not news based, but about police in some other way, describe the video and give as much information about it as possible. In fact, this is a good idea with all video submissions. In order to get audio and video to work on our pages, we may have to download and host the video through our own resources. Especially videos that come from Facebook or non-YouTube sources. So when you share those videos, audio or pics with us you are giving us permission to reuse them. If you are concerned with your copyright claims, then please do not submit the work. If your video is on YouTube, chances are we will be able to use it directly, but if not, we probably can’t use it without publishing it to our own YouTube accounts. It’s very easy to create a Youtube account. So if you have a video you want to share from some other source and don’t want us to upload it to our own channel, upload it yourself. We are trying to reach as large an audience as possible, so try to keep your submissions free of other causes. I have published submissions related to causes that are not my own, but if it is a cause that pushes too may buttons, that is all our readers will judge it by – and not the police issue itself. I recently read a pretty good submission, but it was also peppered with some fairly over-the-top gender issues, so I knew that those would outweigh the police content in the court of public opinion. You can relate the police issues to a secondary topic subtly, but if you get heavy handed it will be too far off point to generate public interest. In short, this is a blog about police misconduct and judicial or legal issues relating to policing. If a secondary issue relates directly to that then it’s fine to include it, but it shouldn’t be something that is a completely secondary issue. Please do not send just a link. If you want us to know about a breaking story then make a guest post on our Facebook page. We do not check them with regularity, but we do check them fairly often. Or better yet, befriend a Cop Block contributor on Facebook and share it with them directly. On the other end of the spectrum, include any important details such as your relationship/connection to anyone mentioned within the post, the location the incident took place, the police department(s)/officer(s) involved, etc. Also, if your submission includes references to all the evidence you have of “such and such” having happened or this person being “such and such,” include that evidence. We’re probably not just going to take your word for it and a good percentage of the people reading the post definitely won’t. You are welcome to send us hate mail, but it will most likely be ignored almost entirely. Unless of course we decide to publicly roast you for your silly nonsense, which is probably not going to be very fun for you. Also, we are not lawyers or legal advisors. We cannot give you legal advice about your case. This is why we focus on trying to keep you out of police pitfalls in the first place. We also are not going to do any detailed investigation of your case. If your submission says “Google this” or “call so and so” then it will likely end up in the trash bin. We are here to share your stories, but not to “take on your case” as it were. If you would like to regularly contribute, talk to us about becoming a CopBlock.org contributor, rather than making regular submissions. Then you can insure your work gets out there by taking care of the details on your own, with our assistance, of course. If you would like to find out how else you can be a part of things, check out and join the Cop Block Network, where you can assist us and our cause in a variety of ways. Thank you for all of your submission, news tips, readership and support!